Opening reception for a new art exhibition. 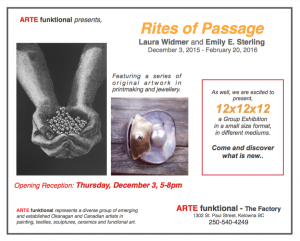 Featuring printmaker artist Laura Widmer and jewellery artist Emily E. Sterling, with a series of original artwork. As well we are excited to present 12x12x12, a Group Exhibition in a small size format in different mediums. The Factory is excited to host our third annual Downtown Kelowna After 5 evening on Wednesday, June 24th. Join us for delicious food, refreshing drinks and lots of fun! We have some wonderful sponsors this year to help make this a memorable evening. Food will be provided by O’Rourkes Uptown Market, Nagano Sushi and La Petite Maison. We will also have refreshing drinks by Cedar Creek Estate Winery, Broken Ladder Cider and select beers from Metro Liquor Kelowna. And we have lots of door prizes! Bliss Bakery, Baths by Design, Elevate Beauty Loft, Inspired Eyes Creative Eyewear and Underground Music Kelowna have generously provided some great gifts for lucky DKA5 winners. But that’s not all! 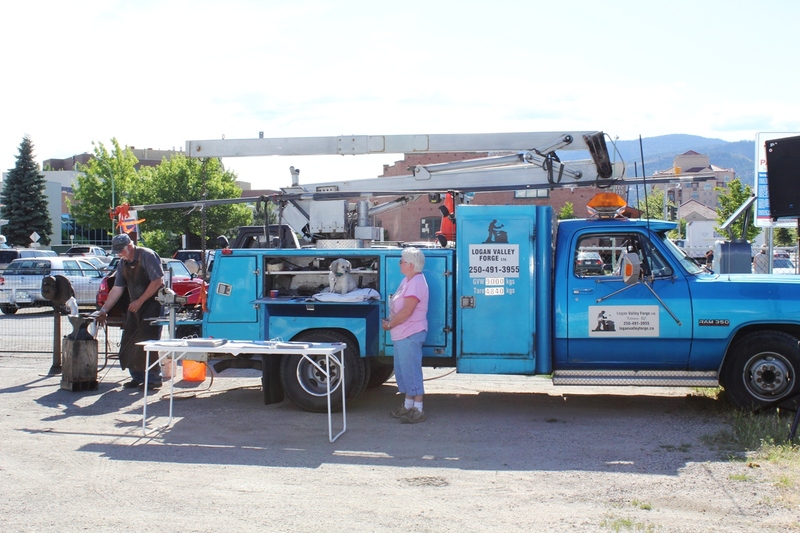 We’ll also be presenting our Factory Trade Foundation Bursary to this year’s deserving Okanagan College student, doing a Break & Enter Demonstration on a (not-so-lucky) Innotech window, have great music and be in the company of awesome people. We hope you can join us! Tickets can be purchased at the door with cash or cheque only. For more info about this event, visit Downtown Kelowna’s event page on Facebook. Join us for the Opening Reception on Friday, April 10th from 6 pm – 9 pm at The Factory. Food, wine and conversation. RSVP by contacting Carolina Sanchez de Bustamante at info @ artefunktional.com (no spaces). ARTE Funktional is hosting an opening reception for a new art exhibit entitled Impassioned Abstraction. Join us at The Factory on Thursday, December 4th from 5-8 PM for mingling, food, drinks and discussion. 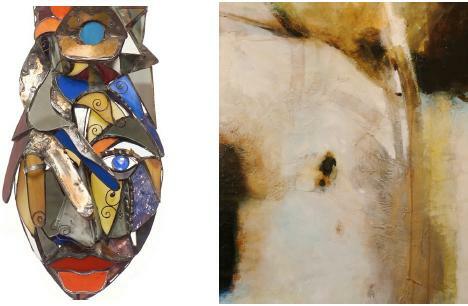 Impassioned Abstraction features two artists, Michelle Sorensen and Barry Rafuse. Michelle Sorensen is an artist from Vernon, BC that creates beautiful glass sculptures. Her sought-after artwork gently transmits light and uniquely balances fragility and strength. Barry Rafuse is a celebrated Canadian textured abstract painter. 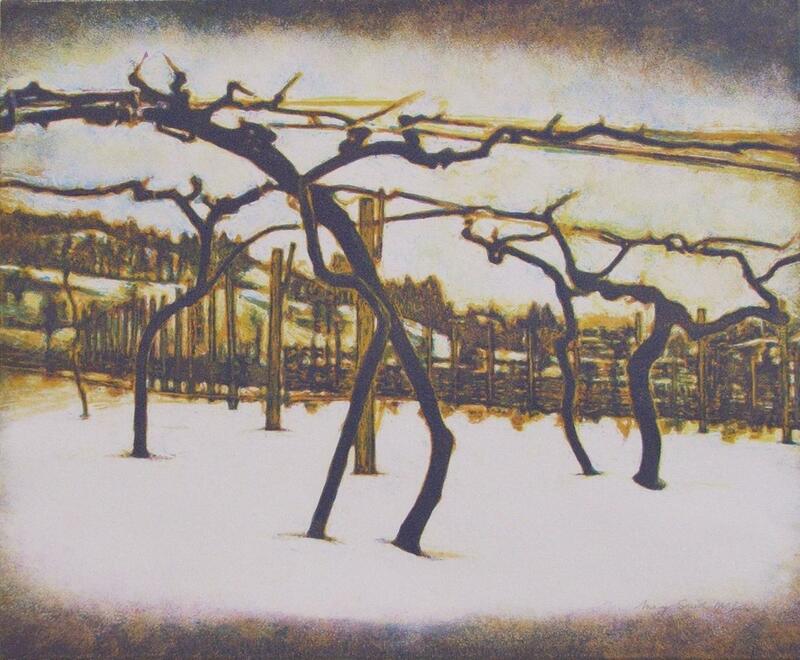 Using large canvases, his artwork is dramatic and mysterious. Grounded in the natural environment, unstructured texture and colour dance together to create inspiring art. To join us for the opening reception, please RSVP by email at info @ artefunktional.com (no spaces). We hope to see you there! Impassioned Abstraction will be on exhibit at The Factory in Kelowna from December 3, 2014 to March 27, 2015. For additional information, visit www.artefunktional.com. Join us this weekend at the Kelowna Fall Home Show at the Kelowna Curling Club (551 Recreation Avenue). 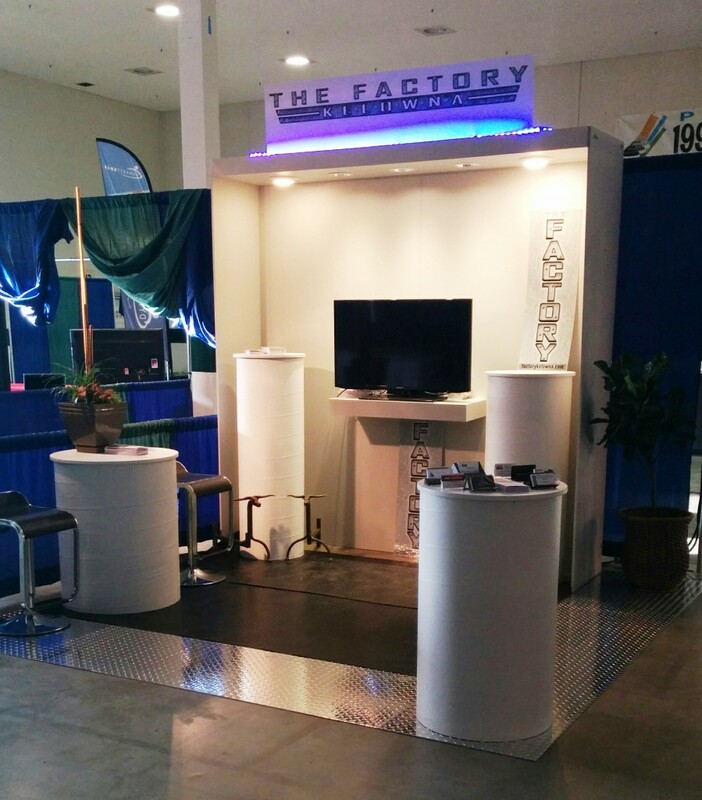 Our team will be in booth #35 answering your design and build questions. Swing by to get inspired by new design trends and building products! Thanks for Joining Us for Downtown Kelowna After 5 at The Factory! 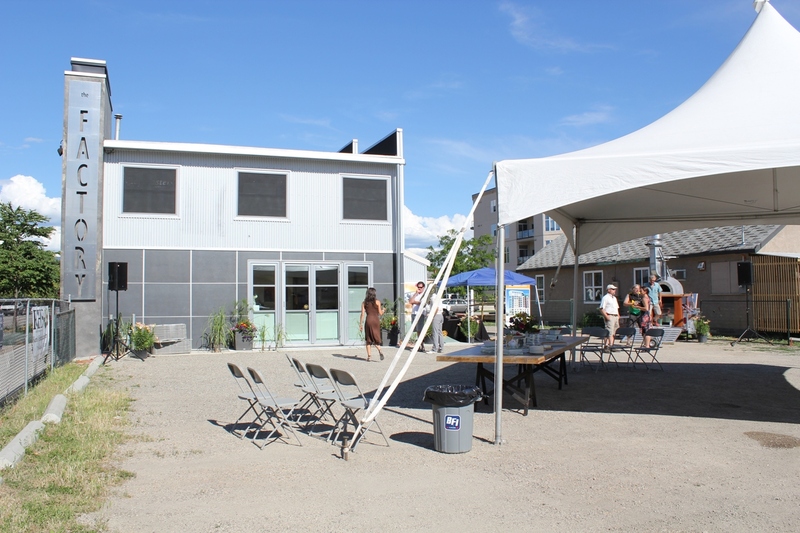 Thank you to everyone who joined us for the June Downtown Kelowna After 5 evening at The Factory! We opened our doors and our parking lot to over 150 people who came down for food, drinks and mingling under the beautiful Okanagan sun. 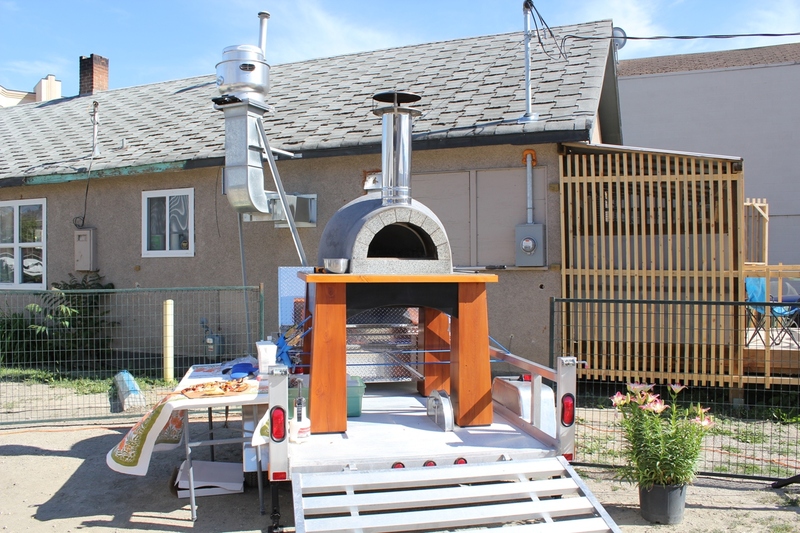 A mobile Fondo Oven cooking yummy pizza. Dave from Logan Valley Forge doing a cold iron forging. Matthew – a trade student from Okanagan College – receiving the very first The Factory Trade Foundation bursary. It was a wonderful evening with great food from O’Rourke’s Uptown Market, wine from The View Winery and beer from Big Surf Beer Co.. Thank you to everyone who joined us – we hope you enjoyed yourselves as much as we did! + For more photos of the evening, click here. The Factory is very excited to host the highly popular Downtown Kelowna After 5 evening on Wednesday, June 25th. Join us at The Factory (1302 St. Paul Street) for delicious eats, refreshing drinks and casual networking. Tickets are $10 at the door and include two drink tickets, all the food you can eat and as much mingling as you can pack in two hours! The evening will have wine from The View Winery, beer from Big Surf Beer and tasty appetizers from O’Rourke’s Uptown Market. We’ll also have a little action including a live demonstration of cold hand forging of iron, Fondo Oven, Lutron remote controls and Crystal outdoor cabinetry. You’ll also be able to walk throughout The Factory to see some of the best products and services for home construction and renovation. Steve Moores, Dean of Trades for Okanagan College, will present the first bursary award from The Factory Trade Foundation at 5:45 PM to a lucky student. The Factory Trade Foundation raises funds for tuition and books for 3rd and 4th year apprentices. All donations above $20 receive a charitable receipt. 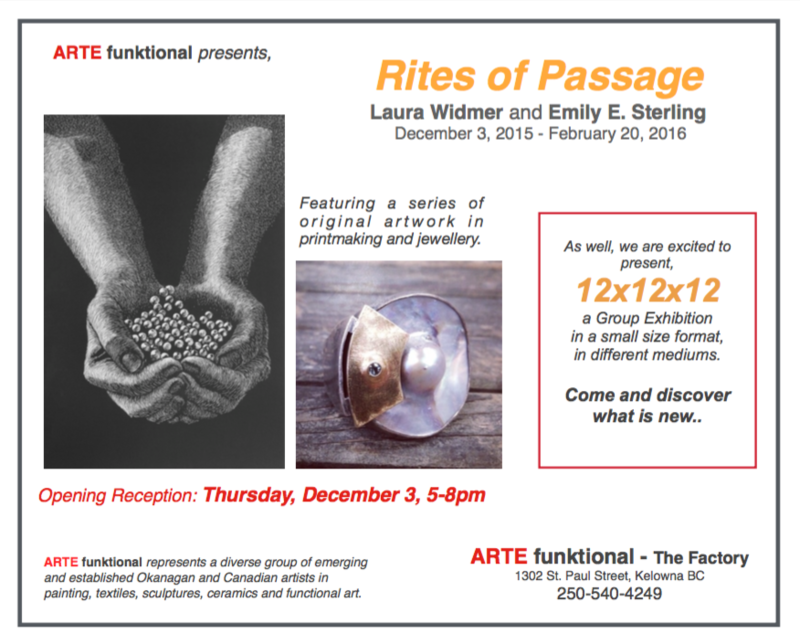 The Factory is pleased to present a new art exhibit by ARTE funktional: Artist, Artisan, Architecture & Design. At the turn of the 20th century, influenced by the Beaux-Arts and Arts & Crafts movements, the artist, the artisan, the architect and the designer were inspired by an aesthetic where art was manifested in all aspects of life. The current exhibition on display at The Factory in downtown Kelowna will explore the interaction between these elements along with how these interactions enrich the spaces in where we live in today. Artist, Artisan, Architecture & Design is on display now until August 15, 2014. For more details about the local and national artists featured, click here. RSVP AT factorykelowna DOT com. The Factory is excited to announce that we have submitted our first bursary award for trade students at the Okanagan College Trade Division. We are all anxiously awaiting from The Okanagan College Selection Committee to announce who the first recipient will be. The Factory Foundation Bursary was set up to pay for tuition and books for a 3rd or 4th year trade student. Each year, a different trade student in the area of study in carpentry, electrical, plumbing, or welding will receive this award. The Factory Foundation Bursary supports the future trades for renovation and new build projects in the Okanagan and beyond. 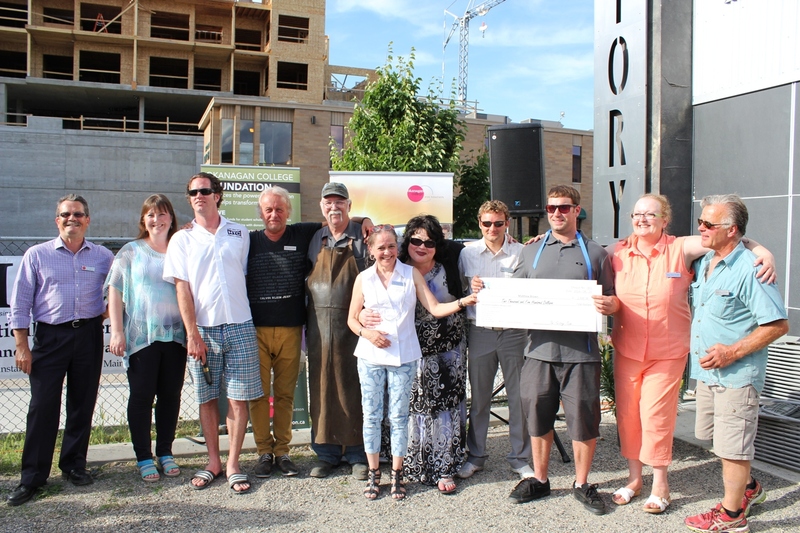 A presentation of the Factory Foundation award will be forthcoming with The Okanagan College Selection Committee decision and highlighted at The Factory’s Kelowna Downtown After 5 Event on June 25th, 2014. Good luck to all the 3rd and 4th year students! The Factory would like to extend our thanks to everyone who joined us last week for the educational seminars hosted by Al Jaugelis from RDH Building Engineering. 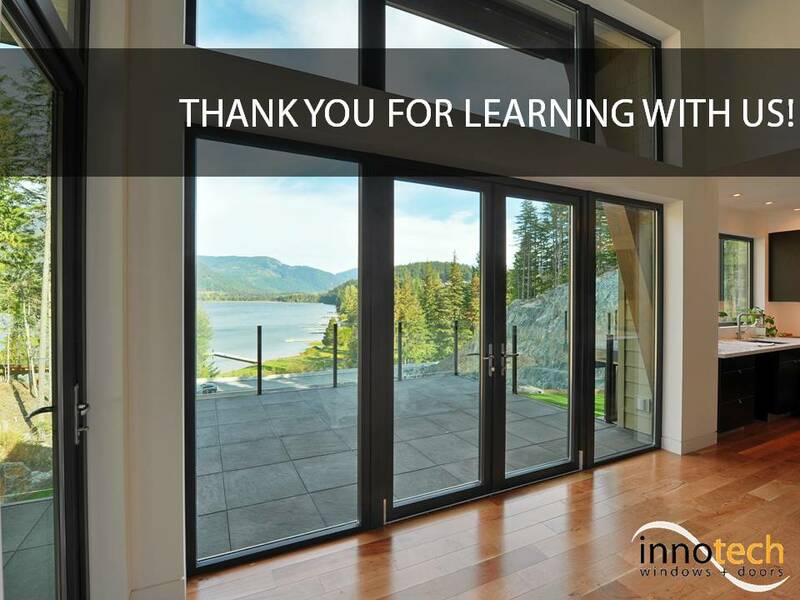 Innotech Windows + Doors invited Al to join us at The Factory in Kelowna to host two AIBC-accredited seminars about the new window and door building code, known as the North American Fenestration Standard/Specification (NAFS). The two seminars were sold out with many of the Okanagan’s leading architects, interior designers, builders, contractors and building inspectors joining us. 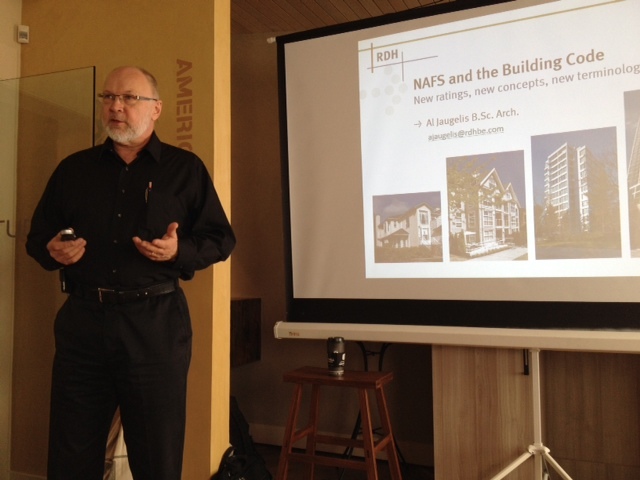 The valuable seminars provided an overview of NAFS, discussed its impact on the 2012 Building Code, and examined how it affects building professionals in the residential and commercial industries. Thank you Al for coming to Kelowna and sharing your knowledge with us! We look forward to having you back.